Patent litigation in Mexico is a relatively new field of practice for Mexican attorneys. With amendments to the Industrial Property Law which introduced the concept of damages for infringement of Industrial Property rights, and which entered into effect in 1994 and with Mexico’s joining the Patent Cooperation Treaty (PCT) as from January 1995, the basis for patent litigation in our country were established. As of today, the number of cases for patent infringement tried with the Mexican Patent Office is still relatively low, especially when compared to cases involving trademarks. As a result, we still face some inconsistencies during the process and, more importantly, in claim interpretation and in substantive issues such as novelty, inventive step and obviousness. In theory, for instance, we could assume from the applicable statute that there are direct infringements and infringement activity on grounds of equivalency; however, we are yet to have Court decisions confirming or otherwise establishing if these are possible. As is, very few cases have reached all the way to the appeal level and thus, the Courts are yet to produce rulings giving a clearer degree of certainty, in as much as how these concepts are to be interpreted. 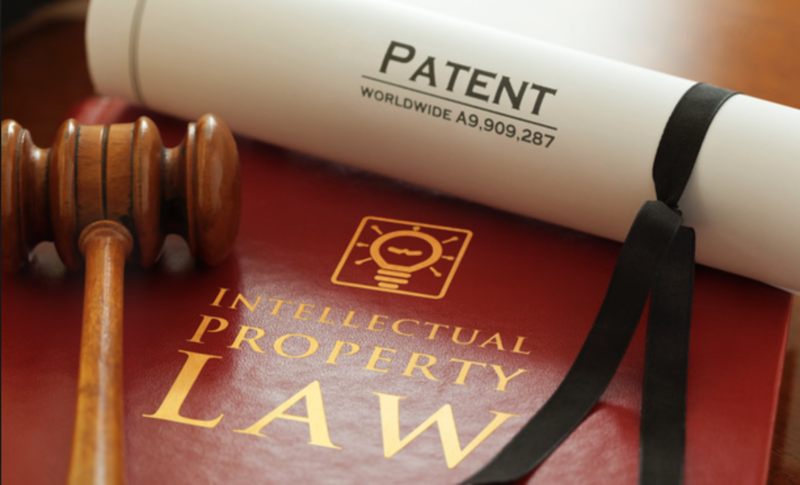 While the law certainly contains definitions for these concepts, the complexity of most patent cases more often than not requires additional guidelines on how to interpret them. The process in itself is quite different from those held in the United States, Canada, Asia or Europe. To begin with, all claims for infringement are to be tried with the Mexican Patent Office, which renders the cases to be administrative processes rather than judicial instances. Decisions rendered by the Mexican Patent Office will only rule on whether the infringement took place or not and, in a declarative type of decision, the defendant will be ordered to immediately stop the infringing activity and will also be fined. Fines for patent infringement cases can go as high as US $75,000.00 (depending on the exchange rate and on the minimum daily wage in Mexico City), although the Mexican Patent Office has hardly ever applied the maximum penalty. It is to note that there is no discovery period under applicable law. Therefore, the attorney for the plaintiff is to thoroughly prepare the case before the initial pleading is filed, without being able to avail, at this stage, of information or documents in the exclusive possession of the defendant. The claim for infringement contained in the initial pleading of the case cannot be amended once filed. However, it is to include all arguments and evidence by which the case is supported, whether it be documentary evidence, expert testimony, official inspections or documents in the possession of the defendant which would be relevant to the case, as the Mexican Patent Office can order the defendant to produce the same. As noted above, all evidence is to be included with the initial pleading. The only exception to this rule for the plaintiff is for the case of documentary evidence which may be in the exclusive possession of the defendant and that, once offered, the Mexican Patent Office deems it relevant to the case. Then, the Mexican Patent Office would request said documentary evidence be produced by the defendant, under the warning that if the same is not produced as ordered, the allegations of the plaintiff made in connection with the respective documents will be taken as proven. While there are certainly some concerns over the legality of this rule under Constitutional provisions, the Courts are yet to produce applicable case law under which to avail of a clearer position. Expert testimony is quite common and actually needed on most patent litigation in Mexico as well. However, the process for rendering the same is rather unique in our country. The party offering said means of proof is to provide a questionnaire on the issues to be covered by its appointed Expert. Then, the other party will have the right to add the questionnaire with those questions it deems appropriate, and will also have the right to appoint its own Expert to cover the same issues. Once confirmed by the Mexican Patent Office, if objections rose by the parties against the admission of a given Expert are overruled, they are called by the Patent Office to produce their testimony in writing, normally within the twenty days following the specific official request. As it is frequently the case, the testimony of Experts happens to be conflicting and thus, the Mexican Patent Office is left with no choice but to appoint a third and final Expert, which is to respond to the questionnaires originally submitted by the parties. This third Expert is to produce its testimony in writing as well, within the twenty days following the service of the appointment confirmation. The results of an official visit of inspection are also used as a form of evidence in many patent infringement cases. This particular type of evidence is used to demonstrate that the alleged infringing product is on the market; that the defendant manufactures and / or markets the noted product, and to obtain a sample of the alleged infringing product so that it can be examined by the Experts and by the Patent Office, in order to determine if the claims of the respective patent are being infringed or not. On a different matter, the inspection visit is also used to implement seizure measures, on which a detailed reference will be made latter. Once the Mexican Patent Office has admitted the initial pleading and the evidence offered by the plaintiff, service of the same on the defendant is ordered. If inspection visits were offered as part of the evidence, the same are to take place precisely on the date of service of the claim, even if the facilities of the defendant were also chosen for an inspection visit. It is quite relevant to point out that the inspections are to take place without any prior notice to the defendant or to the places where said inspections are to take place, leaving the visited entities, among which the defendant is normally included, without any time whatsoever to prepare for such visits. An official Inspector appointed by the Mexican Patent Office, who can be accompanied by a representative of the plaintiff, carries out inspection visits. An official report is to be prepared by the Inspector for each visit, so that it is introduced into the case as the result of the inspection visit offered as evidence. The visited entity has the right to make observations, comments and objections to the inspection visit, either during the visit itself or within the ten days following the same, and those are also introduced in the case file for proper consideration by the Patent Office. defendant in its response, which are not located in Mexico. On these cases, the Mexican Patent Office will grant a further term, which in practice is of approximately two more months, by which the respective documents are to be produced. Failure to meet this new term, for which no further extensions are available under the law, will result in the respective evidence being withdrawn from the case and thus, not to be taken into consideration. Once the defendant produces a response and all evidence offered by the parties has been completed, the case is closed and ready for a decision be rendered. Then, the parties are simply to wait for the Mexican Patent Office to render its decision, although the law does not provide for any specific time frame or schedule by which said decisions are to be made available. Therefore, even in the case of a completed process, a decision from the Patent Office may very well take one year still to be released. It should be noted that there are no oral hearings in the Mexican Courts, all arguments and testimonies are filed in documental form. The judge will rule on the case on the basis of these filed documents. Notwithstanding the above, it is to note that the first stages of the process are rather quick, as the parties are left with very little time to cover the different instances. For instance, once the initial pleading is filed, it will normally take the Mexican Patent Office approximately five weeks to admit the claim and to order the same be served on the defendant. Once the claim is served, the defendant has a non-extendable term of ten days to produce its complete response, counter claims and any other validity issues of interest for the defense. Therefore, the parties usually end up disclosing their complete strategy within five months from the filing of the initial pleading, on average, which can certainly represent some advantages if the same type of enforcement is foreseen on other jurisdictions, most of which have very different and prolonged time frames to consider. Injunctions are not available under Mexican law, at least in the form known in other jurisdictions. For instance, no Judge in Mexico can award such a measure and thus, we are left with the figure of provisional measures on Industrial Property cases, as contained in the Industrial Property Law, which are authorized by the Mexican Patent and Trademark Office. The law provides for two different forms of provisional measures, namely, the seizure of the alleged infringing goods which is to be attempted and eventually accomplished during the course of an inspection visit, and an order issued by the Mexican Patent Office under which the defendant is to immediately cease the alleged infringing activity. Both forms of provisional measures are to be supported by posting appropriate bonds, with which to guarantee potential damages to the defendant. Bonds for the seizure of goods are normally of a token value to begin with and can be increased by the Patent Office to meet the value of the goods seized. Bonds to obtain an order to cease all infringing activity are to cover a much more significant amount, since the defendant will be forced to immediately cease manufacture and / or distribution of its products, as from the issuance of the order. At this point, it is interesting to note that, under the applicable statute, plaintiffs are not liable for any type of damages, even if the claim for infringement founds against them, as they are deemed to be exercising their rights of enforcement of a valid patent. Therefore, posting bond by the plaintiff is merely to meet requirements due for provisional measures be awarded, although such bonds would unlikely be collected, even with a contrary decision to the plaintiff. At any rate, and contrary to judgements awarding injunctions in other jurisdictions, there is a relatively simple means to lift the provisional measures awarded by the Mexican Patent Office. Under the law, defendants wishing to lift the measures imposed, will only need to post counter bond, for twice the amount of the original bond posted by the plaintiff. Therefore, it is of the major importance, especially for orders to cease all infringing activity, to carefully determine the amount of bond that will most likely discourage the defendant and that will guarantee that the defendant will not counter bond thus, to insure that the awarded measures stay in place while the case is being tried and until it is decided. It is essential to note that there is no remedy or recourse available against the defendant placing counter bond to lift measures and thus, it may end up being able to continue with the infringement activity for the time it may take to obtain a decision from the Patent Office. Serious consideration by the defendant is due before deciding to counter bond, however, as the plaintiff will certainly be able to collect the counter bond posted if a decision finds for said plaintiff. It is to bear in mind that, contrary to what it is the case for the plaintiff, who is covered by statute on its enforcement efforts in connection with a given patent, against the collection of bonds posted in support of provisional measures, defendants do not have this right and thus, will need to respond for damages, among which the counter bond posted may be first to collect, even without pursuing a separate civil case for damages. Finally, it is to note that the Mexican Patent Office, as noted before, does not award damages, with its decisions on infringement cases. Once a declaration of infringement is obtained from the Mexican Patent Office and when it becomes firm, the plaintiff will have the right to seek damages be awarded through a civil case. According to applicable provisions included in the Industrial Property Law, damages are to be awarded to the plaintiff for an amount of at least 40% of the market value of sales of the infringing goods. Sales made while the case was being tried are to be considered by the Civil Judge, even if these were made having posted counter bond to lift provisional measures. It is very important to note that provisional measures do not constitute an authorization to the defendant and thus, it will certainly be liable for damages if found to have infringed the given patent, for all the time the infringement took place, regardless of having sold infringing products by having placed a counter bond. A revocation action when used as a defense during infringement proceedings will be resolved alongside the infringement action. Once the claim for cancellation has been admitted by the Mexican Patent Office, together with the evidence offered by the plaintiff, service of the same on the defendant is ordered. The defendant is then given a non-extendable term of one month to produce a response to the infringement. The defendant is also to produce all argument and evidence to support the defense, within the one month granted (an extraordinary extension for 15 business days will be available to the defendant, to produce evidence located outside Mexico). Once the defendant produces its response and all evidence offered by the parties has been completed, the case is closed and ready for a decision be rendered. When initiated independently it will involve the same procedure as an infringement action, and will also take approximately 2 to 3 years for a firm decision to be available. Decisions rendered by the Mexican Patent Office on infringement cases can be appealed first before the Federal Tribunal on Administrative Matters and then, on the last available recourse, before the Collegiate Court by means of an Amparo process. Calderon & De La Sierra y Cia.